Sandbags are used whenever you need extra weight to prevent tipping. You usually "bag" stands, especially when the weight is off center, such as with a heavy Scrim. They help stabilize equipment in windy situations and can counter balance Boom Arm applications. Matthews fills our Sandbags with sanitized sand to prevent algae growth if they get damp. The empty bags are completely sewn except for a 1" seam, left open for the user to fill and then sew closed. 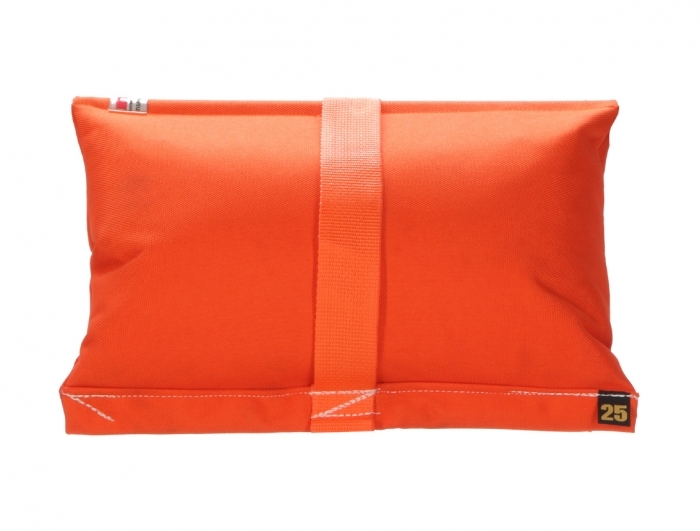 This can save on the shipping charges, however, the user will require a heavy duty machine to sew the sandbag closed properly.